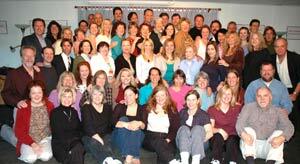 you are eligible for certification as a Medical Support Clinical Hypnotherapist. This module teaches students the principles and practice of hypnosis. Accurate information on the safe, effective use of hypnosis and hypnotherapy is presented. The Hypnotherapy Academy prides itself in teaching the widest variety of induction styles, suggestibility testing methods and deepening techniques. This ensures that even the most analytical client achieves a therapeutic trance state. During this phase of the hypnotherapy training, you will become proficient in the most powerful self-hypnosis and meditation techniques for your own personal growth. The latest hypnotic speed-learning and knowledge retention technologies are taught to unlock your inner genius. Understanding the difference between hypnosis, hypnotherapy, clinical hypnotherapy and medical support hypnotherapy will be taught. Click here to download class schedule, tuition options and catalog. 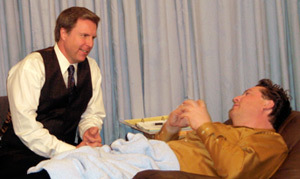 In this hypnosis module, you become skilled in the proper formulation of therapeutic suggestions and guided imagery. We explore storytelling, metaphors and aspects of the Ericksonian style of hypnotherapy along with numerous Neuro-Linguistic Programming methods. During this part of the hypnotherapy training, we introduce you to methods for building and marketing your hypnotherapy practice. You will learn many skills for working effectively with clients, and will be given a blueprint for developing a successful hypnotherapy practice. During this module, you will participate in the Hypnotherapy Academy’s improving self-esteem program which will help to ensure your success. During this phase of the hypnotherapy training, you will learn how to address the original, unconscious motivators of negative feelings, attitudes and behavior and then transform them. You will study and perform dream analysis, analytical hypnotherapy, advanced regression therapy techniques, dialoguing techniques, emotional clearing and attitude restructuring. 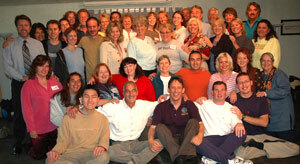 Age-regression therapy is an integral part of this hypnotherapy training module. Prerequisite of 300-hour Hypnotherapist Training (see above modules). Add Accelerated Healing and Pain Control (additional 100 hours) to be eligible for the professional designation of “Medical Support Clinical Hypnotherapist” and “Certified Medical Support Clinical Hypnotherapist” with the International Board of Hypnotherapy. During this module, you will learn hypnotherapeutic psychoneurophysiology techniques using the mind for pain management and accelerated healing. Procedures and protocols are presented that can be used for one-on-one therapy or for groups dealing with health issues. Prerequisites above. Complete this module for a total of 500 hours of hypnotherapy certification training. Hypnotic age-regression methods to uncover and enable healing of the inner child, inner parent and inner adult relationships are taught in this course. You will learn methods to access and heal difficult childhood experiences, as well as various emotional reparenting techniques. Past Life therapy resolves issues that do not readily appear to have current life causes and issues that have not met resolution through other therapeutic means. Upon completion of this section, you will be proficient in one-on-one past life regression, group past life regression, and the rarely taught dual regression for taking couples back in time simultaneously. Future life progression and higher-self or superconscious-mind contact will also be explored. What Comprises A Comprehensive TrainingHypnotherapy methodology has two major categories: Suggestion therapy and uncovering methods. ALL STYLES (i.e. Ericksonian, Alchemical, Advanced Regression Therapy, etc.) of hypnotherapy break down to be a form of one, or a combination of both. Graduation RequirementsThe Academy requirements for graduation consist of a grade of 80% or better on both written and practical skills examinations, classroom participation, and directed study. Classroom participation makes up 87% of your total hours and 13% is for completion of directed study assignments. You can be assured that the courses offered at the Hypnotherapy Academy of America combine the best of new and ancient therapeutic methods, ensuring that our curriculum remains on the cutting edge. A strong personal growth and post-graduate support system enables our students to confidently transition into professional practice. NO previous college credits are necessary to take this course. Click here to download class schedule, tuition options and catalog or call us 505-767-8030 for information. Our Executive Co-Director, Tim Simmerman Sierra is a former nationally registered paramedic and teaches hypnotherapy students effective accelerated healing and pain erasure hypnotherapy techniques. Some applications include hypnodontics, surgery preparation, childbirth with hypnosis and more. The next Hypnotherapy Certification course begins June 4, 2018. Our classes often fill to capacity, so let us know if you would like us to hold a seat for you. People have traveled from England, Canada, Japan, Guam, China, Australia, New Zealand, India, Denmark, Spain, Thailand, Scotland, Ireland, Portugal, Germany, Singapore, Romania, Italy, Dubai (UAE), France, South Africa, Virgin Islands, Barbados, Cyprus, Austria, Mexico, Lithuania and 49 of the 50 states in the USA to attend. Because our classes often fill to capacity, admission is on a first come, first served basis. All enrollment paperwork must be completed and tuition must be paid in full, or arrangements must be made at least one week before class starts to assure your seat. Sometimes cancellations occur, so if the upcoming class is full, we can place you on a waiting list. To be placed on the waiting list we need your enrollment paperwork and tuition for a minimum of one module. Please phone (505-767-8030) or email to find out if there are still seats available in the upcoming course. If you are on the waiting list and a seat in that class does not become available, the tuition can be transferred to hold your seat in the following semester. If you have questions or would like further information, please email or call us. Here’s What Our Students Are Saying: “While there are several aspects of the Academy’s training I consider superior, five aspects stand out in particular. First, they teach solid and practical clinical skills, and then reinforce them with demonstrations and practice. Second, they teach material in multiple ways in order to support learning of students with different learning styles and backgrounds, and they are flexible in how they present concepts and techniques. Third, they teach principles as well as techniques, which help students to apply what they learn in flexible and adaptable ways. Fourth, they support student learning with well organized written material in manuals that are continually being adjusted according to student responses and feedback. Fifth, they focus on the importance of practitioners living the principles and developing personally. * This training is approved by the International Board of Hypnotherapy. I must tell you that taking your classes THREE YEARS AGO was a life altering experience for me. I have attended many workshops for self-improvement, none of them have ever come close to giving me the benefits your class did. I have so much MORE SELF-CONFIDENCE. Fears that I once carried have disappeared. If I find myself stressed out, I have the ability to relax any time I want.